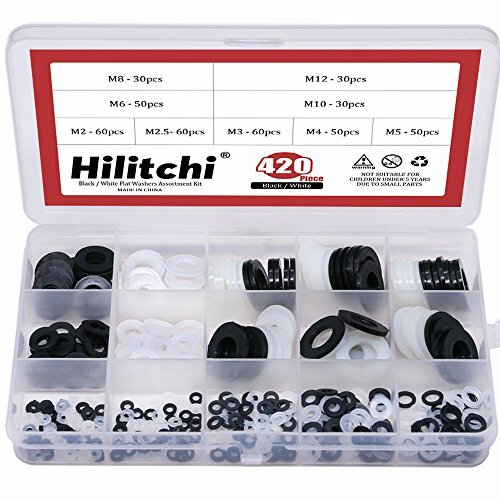 Nylon Flat Gasket Round Washer Assortment Kit for M2 M2.5 M3 M4 M5 M6 M8 M10 screw boltsFeatures:Material: Nylon . Color: WhiteFire rating: 94V-2Operating temperature: -20 ~ 120C.100% new, never used.Package Included:Nylon Flat Washer M2 5mmx2mmx1mm(ID * OD * Thickness), 100pcs;Nylon Flat Washer M2.5 5mmx2.5mmx1mm(ID * OD * Thickness), 100pcs;Nylon Flat Washer M3 6mmx3mmx1mm(ID * OD * Thickness), 50pcs;Nylon Flat Washer M4 8mmx4mmx1mm(ID * OD * Thickness), 50pcs;Nylon Flat Washer M5 10mmx5mmx1mm(ID * OD * Thickness), 50pcs;Nylon Flat Washer M6 12mmx6mmx1.2mm(ID * OD * Thickness), 50pcs;Nylon Flat Washer M8 16mmx8mmx1.4mm(ID * OD * Thickness), 50pcs;Nylon Flat Washer M10 20mmx10mmx1mm(ID * OD * Thickness), 30pcs;Package Quantity:Total 480 pieces.This set is organized by size in a transparent storage case for quick access and protection. 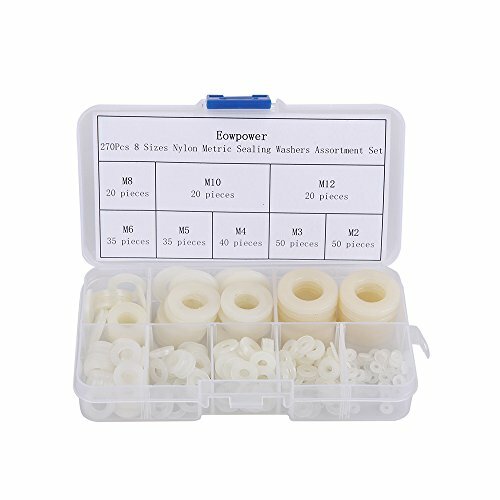 【Specifications】 - Color: White - Quality: 600 Pcs - Material: Durable Nylon - Washer Type: Flat Washers - Sizes: M2 M2.5 M3 M4 M5 M6 M8 M10 M12 【Features】 - These flat washer provides a bearing surface for fastener load distribution and resistance to abrasion - Widely Application: Perfect for electrical connections on household and commercial appliances, automotive and marine uses in which the power source has a threaded/bolt-type connection 【Package Included】 - M2 - 100pcs - M2.5 - 100pcs - M3 - 100pcs - M4 - 100pcs - M5 - 50pcs - M6 - 50pcs - M8 - 50pcs - M10 - 50pcs - M12 - 40pcs 【Package Quantity: 600pcs】 Total: 600 pcs, 9 Sizes Nylon Flat Washer NOTE: Please check the size carefully before purchasing, thanks for your support. Warning: the product are small parts, keep away from children and kids. The off-white nylon 6/6 flat washer provides a bearing surface for fastener load distribution or is used as a spacer between components. Nylon 6/6 provides resistance to abrasion, corrosion, and many chemicals and solvents. The material is a strong yet lightweight plastic and is nonconductive. 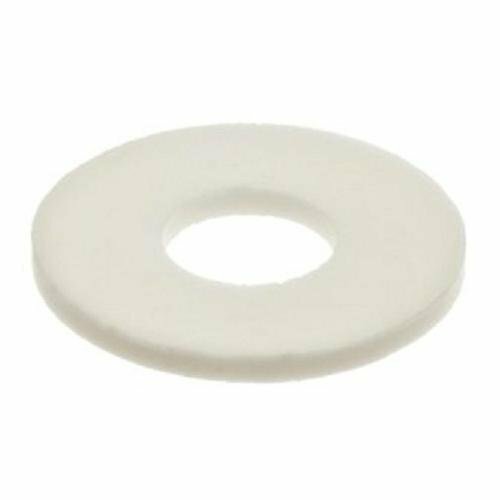 Nylon 6/6 can either absorb or lose moisture, which may alter its dimensions and mechanical properties.Washers distribute the load of a fastener across a surface and can also be used as spacers, springs, shims, or locking devices. Several different washer styles fit a variety of application and installation requirements. The most common style is a flat washer. More specialized washers provide additional benefits. A cup washer, for example, helps protect fasteners from electrical currents, while a lock washer offers additional security in an assembled workpiece. [Technical indicators] - Size: M2 M2.5 M3 M4 M5 M6 M8 - Material: Nylon - Colour: Black [Features] - Made of durable nylon, resistant to corrosion and durability - The lock washer exerts a spring force between the fastener head and the base plate, which makes it difficult for the washer to abut against the base plate and the bolt thread hard against the nut or substrate thread, resulting in greater friction and anti-rotation. - These washers can be permanently installed and can be locked in plastic, steel, etc. - This component is organized in a transparent storage box by size/type for quick access and protection. [Package included] - M2 - 50pcs - M2.5 - 50pcs - M3 - 50pcs - M4 - 50pcs - M5 - 50 pieces - M6 - 50pcs - M8 - 50pcs [Package quantity]: 350pcs The kit is organized in the size of a transparent storage case for quick access and protection. Package include: Nylon Flat Washer For M2/M2.5/M3/M4/M5/M6/M8/M10 Screw/Bolt white color total 550 pieces. 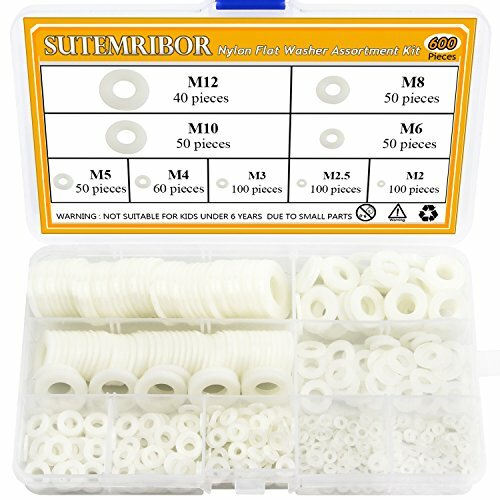 Come with the plastic box: List(Type,Outer Diameter/Inner Diameter/Thickness,Quantity)： Nylon Flat Washer For M2 5mmx2mmx1mm, 100pcs; Nylon Flat Washer For M2.5 5mmx2.5mmx1mm, 100pcs; Nylon Flat Washer For M3 6mmx3mmx1mm, 100pcs; Nylon Flat Washer For M4 8mmx4mmx1mm, 50pcs; Nylon Flat Washer For M5 10mmx5mmx1mm, 50pcs; Nylon Flat Washer For M6 12mmx6mmx1.2mm, 50pcs; Nylon Flat Washer For M8 16mmx8mmx1.4mm, 50pcs; Nylon Flat Washer For M10 20mmx10mmx1mm, 50pcs; Packing contents: HVAZI 550PCS Nylon Flat Washer For M2/M2.5/M3/M4/M5/M6/M8/M10 Screw/Bolt Packed in a plastic box. 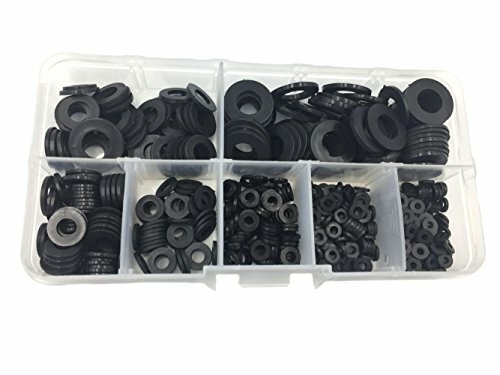 Nylon Flat Washer For M2/M2.5/M3/M4/M5/M6/M8 Screw/Bolt Balck color total 500 pieces. 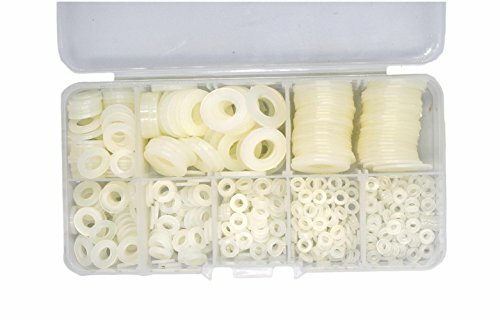 Come with the plastic box: List(Type,Outer Diameter/Inner Diameter/Thickness,Quantity)： Nylon Flat Washer For M2 5mmx2mmx1mm, 100pcs; Nylon Flat Washer For M2.5 5mmx2.5mmx1mm, 100pcs; Nylon Flat Washer For M3 6mmx3mmx1mm, 100pcs; Nylon Flat Washer For M4 8mmx4mmx1mm, 50pcs; Nylon Flat Washer For M5 10mmx5mmx1mm, 50pcs; Nylon Flat Washer For M6 12mmx6mmx1.2mm, 50pcs; Nylon Flat Washer For M8 16mmx8mmx1.4mm, 50pcs; Packing contents: HVAZI 500PCS Nylon Flat Washer For M2/M2.5/M3/M4/M5/M6/M8 Screw/Bolt Packed in a plastic box. 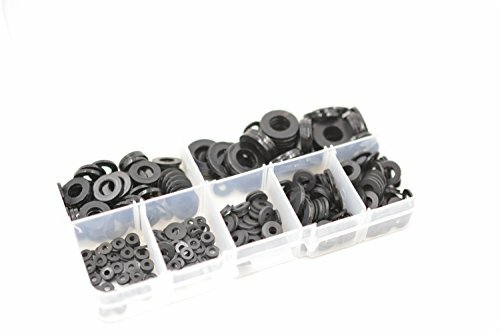 Fragola Performance Systems 999128 Fragola Nylon Sealing Washers, 10 Pack, 3/4" I.D. 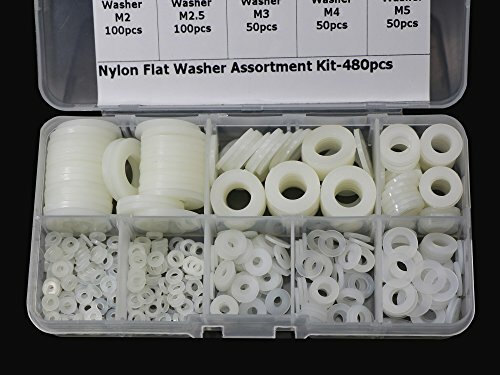 Want more Nylon Sealing Washer similar ideas? Try to explore these searches: Hydro Hot Pack, Ford F150 Tonneau Covers, and Ginger Canterbury Series.